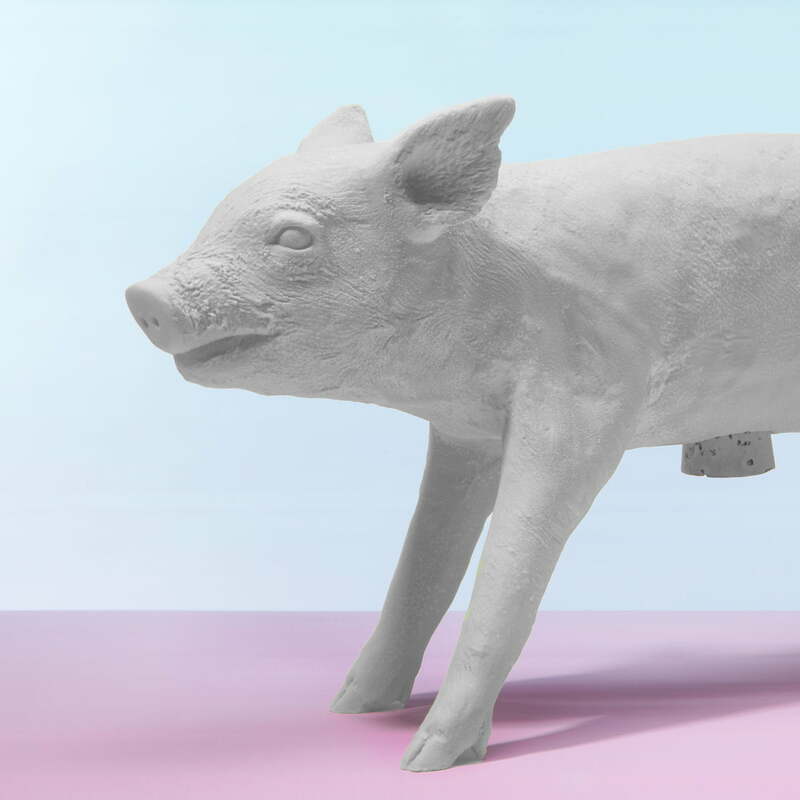 The Pig Bank was designed by Harry Allen for Areaware. It is bigger and looks more real than most of representatives of his species. This is mainly because Pig Bank a resin cast of a real piglet is (that of course died a natural death). Harry Allen is famous for his designs that often contain casts or imprints of objects from his surroundings. Whether a bowl put together from peanuts, like the Peanut Bowl, or the Brush Vase, which is made up of differently sized brushes, Harry Allen knows how to create artistic objects with new functions from everyday things. 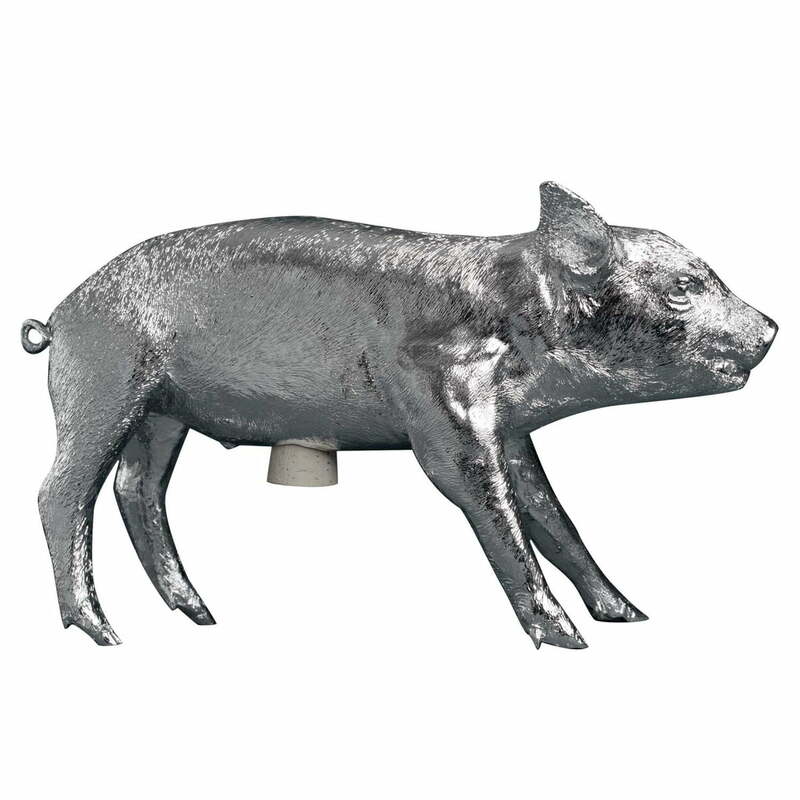 The Areaware Pig Bank is 46 cm long and 25 cm high, and immediately catches your eye. 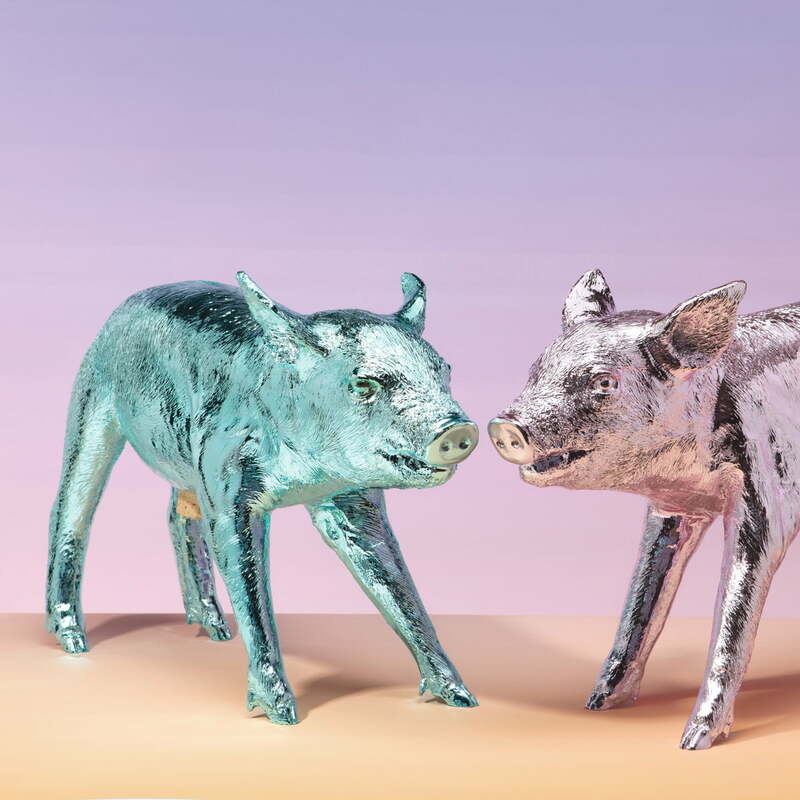 Pig Bank is not only an unusual design object for your home, but also an alternative to the usual piggy bank that leaves you something to think about. According to Areaware, $10,000 worth of US dollar bills fit inside the life-sized piggy bank. 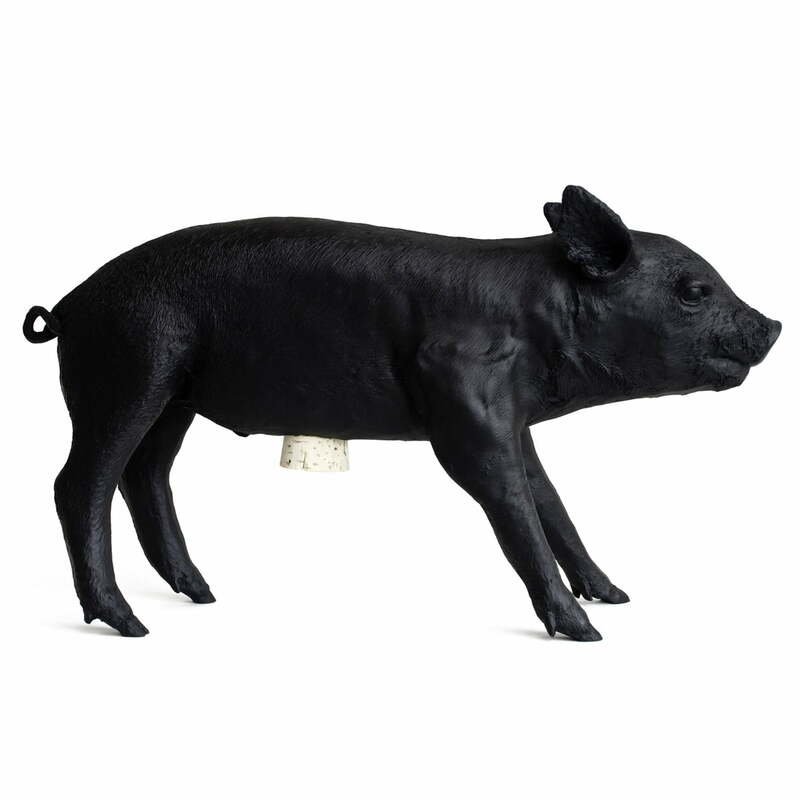 The Harry Allen Pig Bank is made from resin and marble, and has a cork stopper in its stomach so that it can be emptied if need be. Pig Bank is offered by Areaware in multiple colours. The life-size piglet by designer Harry Allen is an extravagant piggybank and an expressive work in one. In the video the pig is being fed and gets emptied. The pig bank by areaware in action. 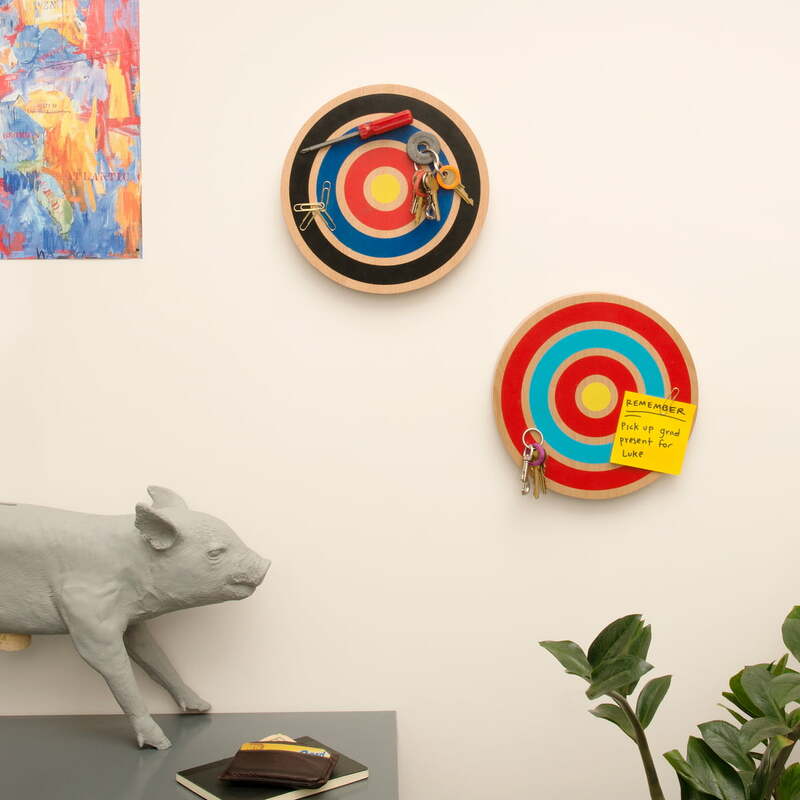 The Key Target by Areaware is available in red and black. The design comes from the Bower Design Studio and it leans on the pictures by the American painter Jasper Johns.